Our mobile app monitors and rounds up your daily purchases to the next whole dollar and invests this spare change. You are funding your future every time you shop, without disrupting your lifestyle or spending habits. Of course, you can deposit more and grow your nest egg anytime you want. Sally connects ideas to capital. As co-founder and CEO of crowdfunding platform peerbackers.com, Sally helped thousands of entrepreneurs reach their fundraising goals. Now as a crowdfinance consultant she is addicted to helping business owners and investors navigate the new capital opportunities provided by the updated securities regulations in the JOBS Act. In her efforts to democratize finance and to level the playing field for retail investors, she has recently launched a mobile app (worthy.us) that connects users to the strong returns generated through the crowdfinance industry. Sally is a seasoned entrepreneur having run her own businesses for the last twenty five years. Her media and business ventures took her across the globe � including ten years of conducting business in Russia. Sally is a writer and speaker for Entrepreneur Magazine, various universities, and business incubators on the topic of small business financing and has been a repeated source on the topic of crowdfinance for national media outlets including The Wall Street Journal, Dow Jones, and Forbes, among others. Her book, �Cash from the Crowd� on how to successfully crowdfund, was published fall 2013 by Entrepreneur Press. 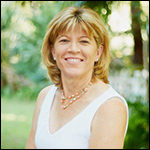 Sally holds both a real estate broker license as well as a Series 65 registered investment adviser license.